Look Who's Raising Money For Us! We're so fortunate to have so many people willing to raise money on our behalf. Check out who's doing what. Maybe it will inspire you to do something similar?! Email us with your idea and we'll help you get started! 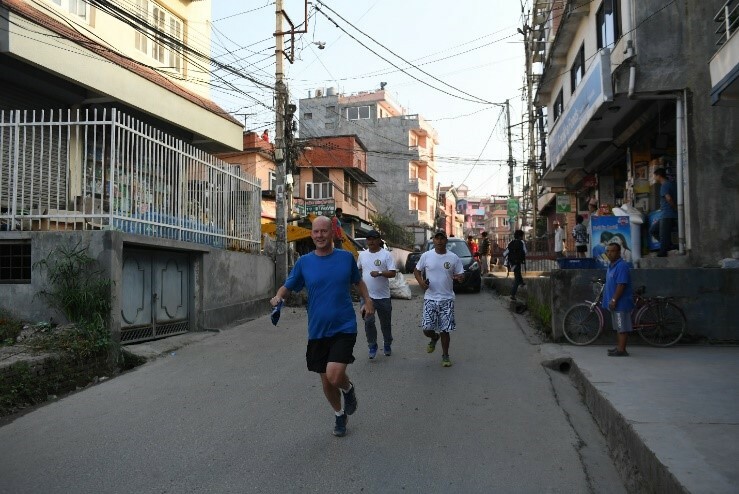 This year, US Embassy Kathmandu sponsored the ever popular 6th Annual DS Charity Run on Saturday, September 29. 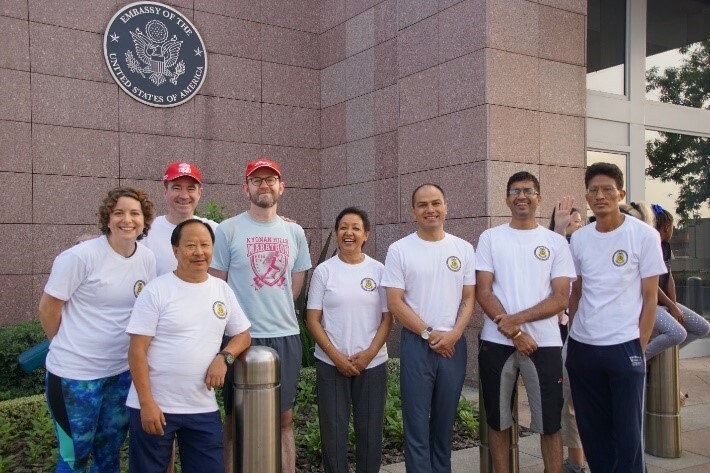 Over 160 participants walked, ran or volunteered along the 5k route that started and ended at the Embassy. 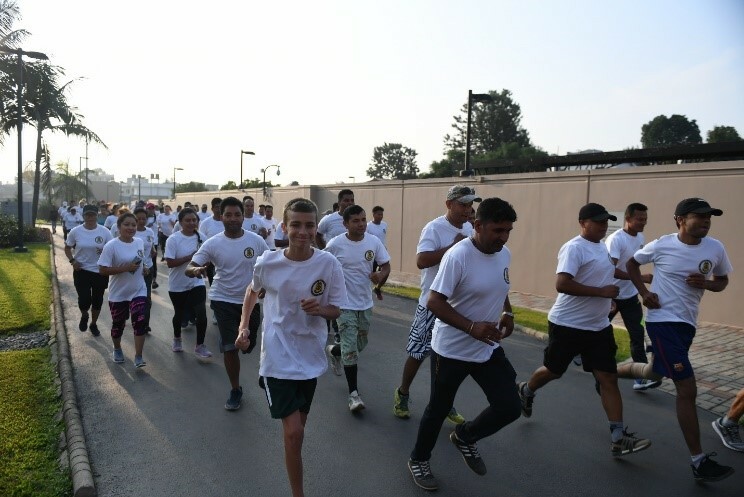 Americans, Local Staff, family members and even a few local security forces took advantage of the beautiful weather to support the DS Foundation. The entry fee included a donation, a commemorative t-shirt, and a hearty breakfast provided by the American Mission Association. The fastest man and woman also earned well-deserved medals. A total of $250 was donated to DSF. Every penny counts - thanks Team Kathmandu! Making a pledge through the CFC is a great and easy way to support DSF. Annually, we receive almost $20,000 via the CFC. Not only do we get donations earmarked for DSF, we also get a share of donations that arent earmarked (General Fund). So make your pledge today and support DSF. Our CFC number is 96262. 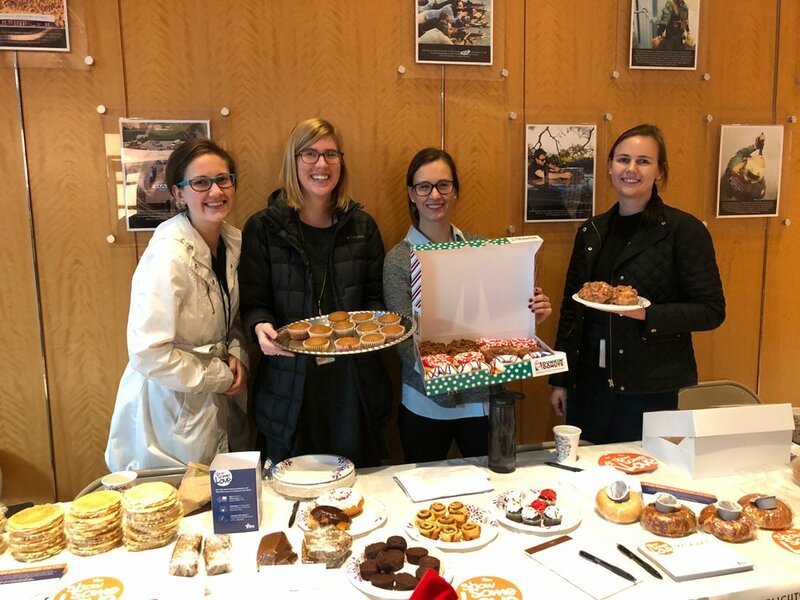 Thanks to the DS/EX Management office staff for hosting a CFC awareness bake sale! 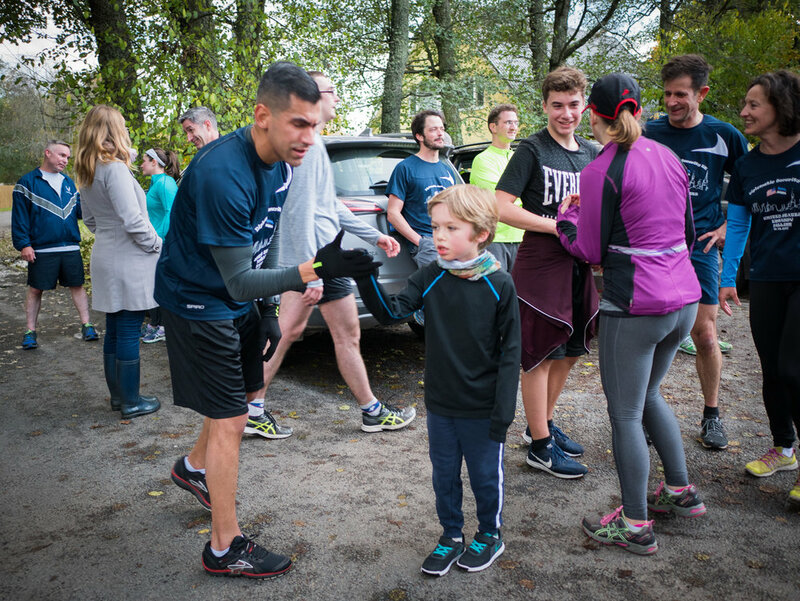 On October 13th, over 70 participants gathered at the Marine Security Guard Residence (MSGR) for the 2nd Annual Diplomatic Security Service 5K Fun Run/Walk. Donations were accepted in support of the DS Foundation and participants received a commemorative T-shirt. USG employees, family members (of both the human and canine variety), locally employed staff, members of the local guard force, and many Estonian law enforcement contacts took part in this fun and worthy cause. Participants ran, jogged, and walked along a 2.5 KM route near the MSGR before doubling back to the finish line. Our first finisher came in at 19 minutes and 37 seconds and our last group of walkers finished up in roughly 50 minutes. 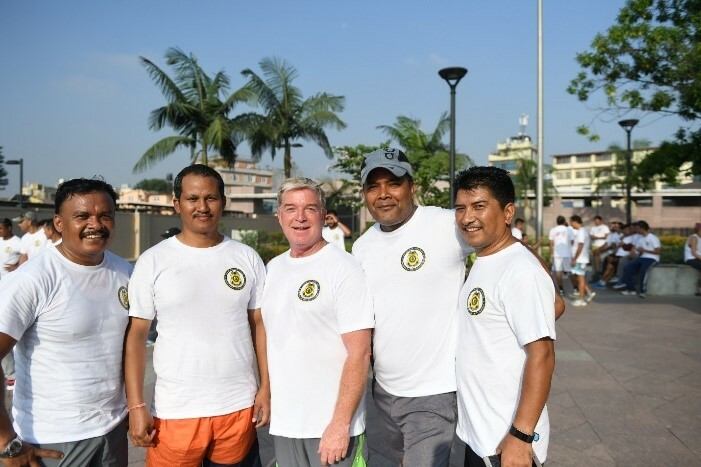 Following the run, everyone relaxed and enjoyed some food and refreshments provided by the Embassy and the Marine Security Guard Detachment. Our friends at US Embassy Maputo ran a 10K fun race in early September 2017 in conjuction with DSSAA's annual fun run. Group photo taken across the street from New Embassy Compound construction with bay and Indian Ocean in the background – reflects a diversified mix of US Embassy Maputo personnel and families. Event planner Maurice Brungardt kneeling up front wearing the red DS10K shirt next to Marine Security Guard holding the DS/RSO seal. Also in the crowd is David Root (Reginal Security Officer), Gunnery Sergeant Douglas Gross, the Marine Security Guard Detachment, and a cross section of personnel and families. We love this: Our friends at RSO Windhoek recently held a fundraiser for DSF in honor of the Afghan guards who died in the attack in Kabul on May 31. Their event raised $819.73, which they sent to us. (We sent $29,000 to the families of the Afghan guards) A HUGE thank you to ARSO Mike Snodgrass and everyone at Windhoek for helping us help others - you rock!! Our friends at US Embassy Community Dakar, Senegal hosted a "Negroni Night" - with all the proceeds going to DSF. They sent us a check for $675. Isn't that awesome?? Thanks to everyone who participated! 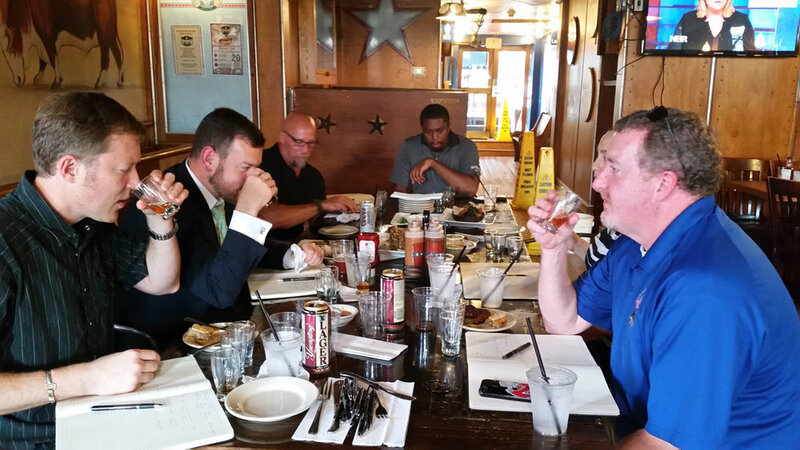 Here's a fun one: Thanks to everyone who was involved with the DS Centennial Whisky Group (here's a few "hardworking" members picking which Jack Daniels barrels to use - tough job!). Each bottle purchased included a donation to DSF. As a result, a grand total of $1,000 was donated to us. That's awesome! Thanks to all the lucky participants.